The team members of The Currency Analytics rolled out a pool on the 13th of March, 2019 on the telegram group. Apparently, the poll seeks the unbiased opinion of the community about moving TCAT from the Ethereum Blockchain to the Tron blockchain. What informed the poll wasn’t known as at the time of writing. Though the unanimous decision of the community favored moving to the new blockchain, the final decision of the team members is yet to be known. 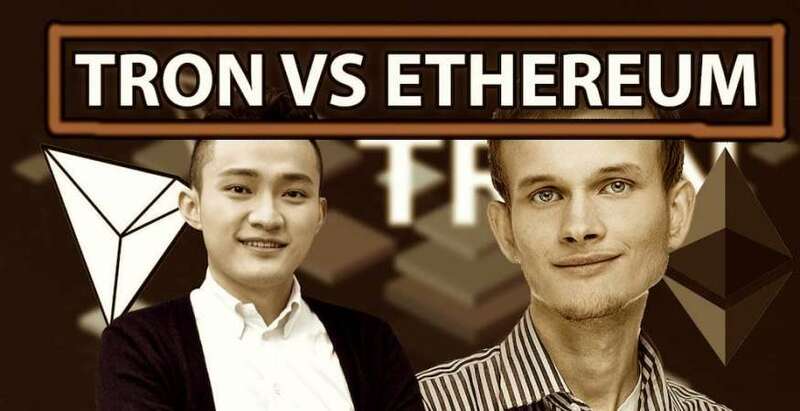 The question on the mind of the community members is ‘Why is the team members considering moving TCAT token to Tron blockchain?’ Perhaps a side-by-side evaluation of the attribute of Tron and Ethereum will bring the answer. Ethereum had been using the Proof of Work (PoW) consensus algorithm till recently when it began active hard forks to migrate to Proof of Stake (PoS) Consensus. Proof of Work consensus model allows the confirmation of transactions and creation of new tokens when computers or miners perform complex mathematical calculations to proof Genuity. The work to be done is to prevent network take over by bad players. It has been found that PoW consumes a lot of energy. This is because, as the network grows so do miners. And as the number of miners increases so also the complexity of the calculation to be solved by the computer. Apparently, this needs a lot of computing power which has been seen not to be eco-friendly. Proof or Stake consensus model creates new tokens and confirms transactions when users lock some tokens in specialized wallets. In essence, users under this model earn more tokens according to the number of tokens staked or locked by users. This model may favor people with more tokens which may inform hoarding of tokens which are supposed to be in circulation. Ethereum will take years before it finally achieve the full migration into the PoS model. Tron, on the other hand, uses the Delegated Proof of Stake model. This model allows 27 Super representatives (SRs) to be voted. These representatives confirm transactions and create new tokens. The SRs are voted based on their works in the network, like how many projects they sponsored etc. The blockchain has a constant number of tokens that need to be locked to become a witness or representative. This makes it better than the PoS model. Because of the consensus model Tron has adopted, the transaction speed has greatly increased and faster than its predecessors. It processes 2000 Transactions per Second. Ethereum processes 25 transactions per second while BTC processes 25 Transactions per Second. Obviously, Tron comes on the top of the list when considering transaction times. Tron processes transactions with far lower transaction fees compared to most blockchains today. On the blockchain, transactions consume bandwidth points when users freeze TRX tokens. 5000 bandwidth points are allocated to each user every day. It is from these bandwidth points that transaction fees are deducted. If the bandwidth points are not enough, then TRX tokens can be deducted. During the #TOKEN2049, TRON / BTT offered US to migrate the $TCAT token from the #erc20 to the #TRON blockchain. The Currency Analytics present authentic and up to date news to its readers while they fight against fake news through its REAL protocol. The TCAT token is listed in different crypto exchanges and can be tracked on CoinMarketCap.